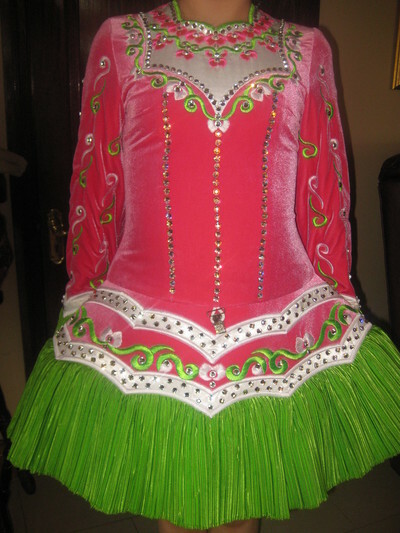 Stunning siopa rince dress, deep pink and lime green, adorned with diamontes, dropped waist dress. 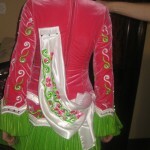 One year old, worn for 6 months only due to injury, being sold now due to growth spurt. Looks amazing on stage matching headband and pants.